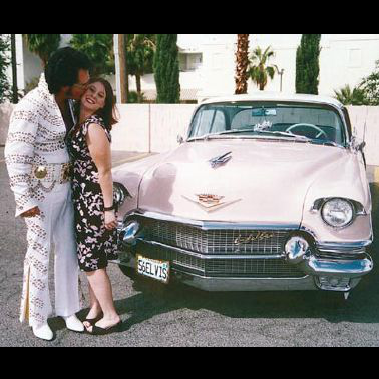 Elvis will pick you up at the main valet of your hotel. 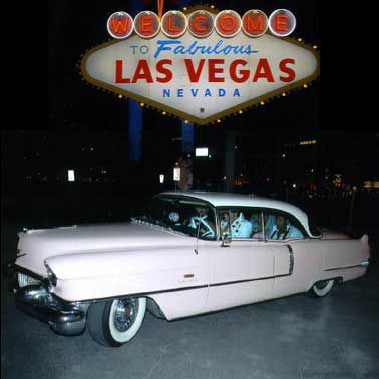 The Pink Cadillac holds up to 5 passengers. Once in the car, Elvis will be singing and playing songs the whole time you ride in the car. 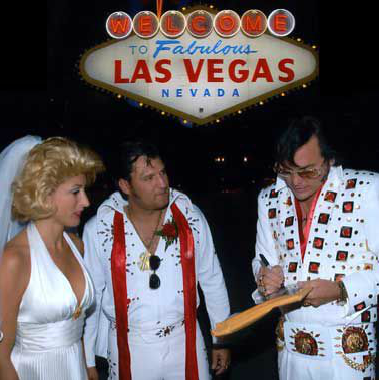 Once at the Welcome Sign, The King will sing 3 songs of your choice, and perform your ceremony, for either a wedding or renewal of vows (If desired). 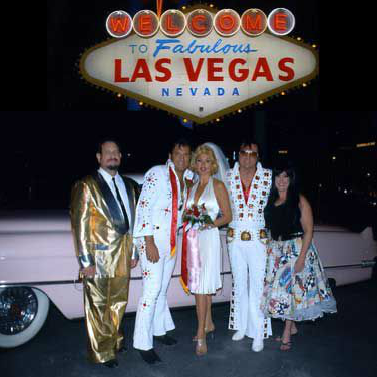 Once the ceremony and songs are over The King will take you back to your hotel. 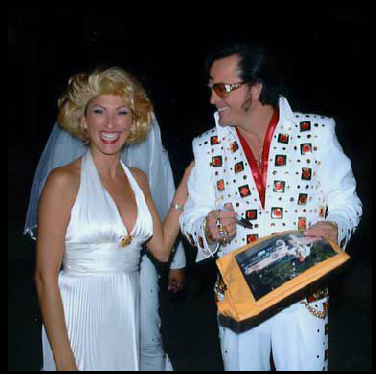 Elvis will also give you the following wedding gifts. 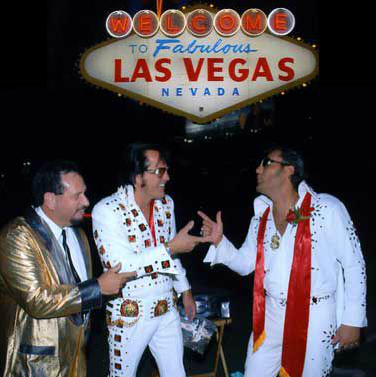 A beautiful sign 8×10 color picture, a pair of his and her Elvis Shades, a pair of fuzzy dice for your car, an exact copy of Elvis and Priscilla’s wedding Lic. Please call or text or e-mail me for the cost and any questions you my have.